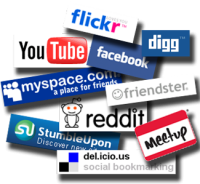 Commissioned by Text100 Global Communications, a study surveyed 4,600 consumers in 13 countries and examined the increasing importance of social media and mobile technology in helping a person decide where to go on holiday. The De Krans The Last (Cape Vintage Reserve) Port 2010 has been awarded a 5-star rating in the internationally recognized 2013 Platter's South African Wine Guide. The landmark Drostdy Hotel, nestled in the heart of the historic town of Graaff-Reinet in the Great Karoo, has closed in order for extensive renovations to take place. 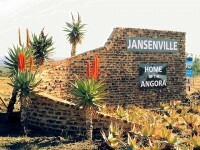 The Local Tourism Organization has completed the "Welcome to Jansenville" structures at the entrances of the town and are busy beautifying the area at the Bridge. The annual Opening of the Hunting Season in Jansenville is on the first Friday of July 2012. The Opening of the Season offers great atmosphere and lots of fun. Come and join us in 2012! The Karoo Lamb Restaurant will be hosting the duo 'Rouge' on Friday the second of September. Join us for an evening of nostalgic love songs and a delicious plate of Ian Allemann's famous Potjie for only R70! There is no cover charge but a hat will be passed. Four members of South Africa’s national bird species, rescued from illegal captivity and rehabilitated in Port Elizabeth, were released into the wild yesterday.